As you’ve already understood, on Amiga the fonts were drawn by hand in a bitmap. Vector font did not exist and we usually did not used proportionnal font. So generally, fonts were drawn on a grid. For example 8×8 pixels, or 16×16 or 32×32. The size was a multiple of 16 to allow blitter copy. Some productions used proportionnal fonts and exotic sizes. Here is (from my point of view), one of the best font drawn on Amiga: From artist « Rack« . 1991 (Hungary). 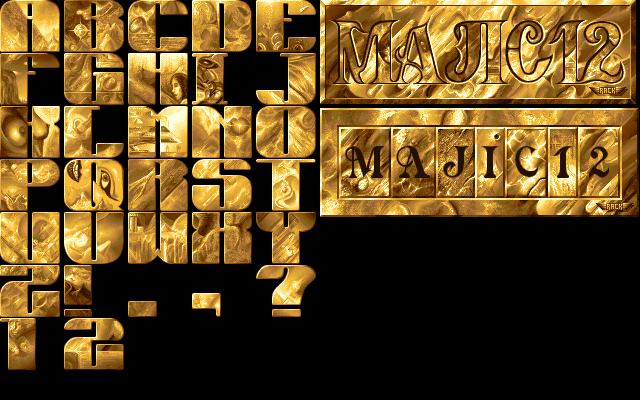 The font have been used in a demo called « Ray of Hope 2 » by the group « Majic 12 ». I got one archive with some font. Here is the link: AmigaFonts.zip (2MB, 328 Fonts).